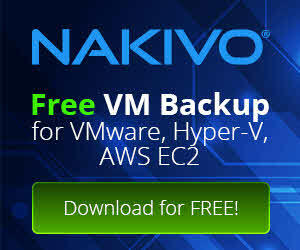 2.2 Do You Have Enough Free Space? 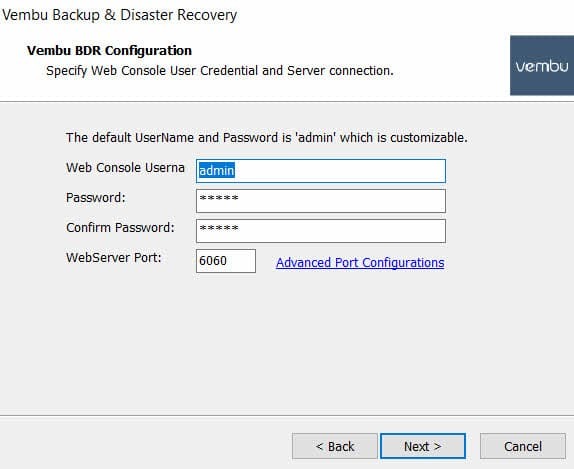 There is some prerequisites and recommendations for Vembu BDR Server installation. 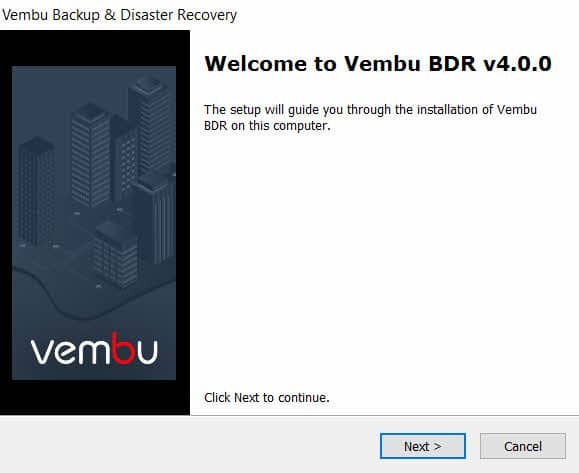 For an in-depth system requirements for all the products in Vembu BDR Suite, click here. I think, you must choose virtual machine to install Vembu BDR Server but you can also install it on a physical machine. Virtual machine is more flexible than physical machine, if you want to use it as a management server, also modern physical machines have more computing capacity than management servers needed. The installation file has been published as an executable file. Just run the file after download. This is first step of all installation on Windows! At first station, you will see “Welcome Window”, click on “Next”. 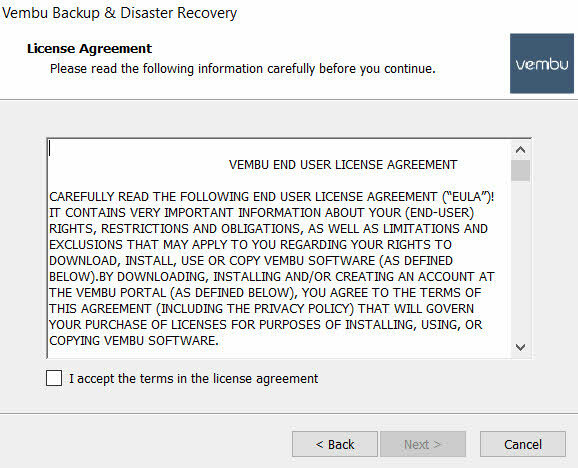 Then, installer will show “License Agreement”. If you accept that, so checked the box and click “Next”. You can install Vembu BDR Server on the default installation folder or select another folder which has more than 1.2 GB free space. Configurations are including service account, service ports, database configuration and web-console identification. The services can be run under system account or local or domain user accounts. 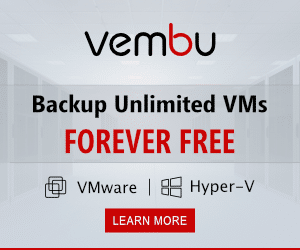 Vembu BDR has internal database that using PostgreSQL. Database file location can be relocated during installation. So if you want to keep separate database with other files, you can do that. All the configurations can be customizable, you can change administrator user, password, web console ports and service ports at this state. There is no other configuration. So just click on the “Next” buttons and wait to installation complete. 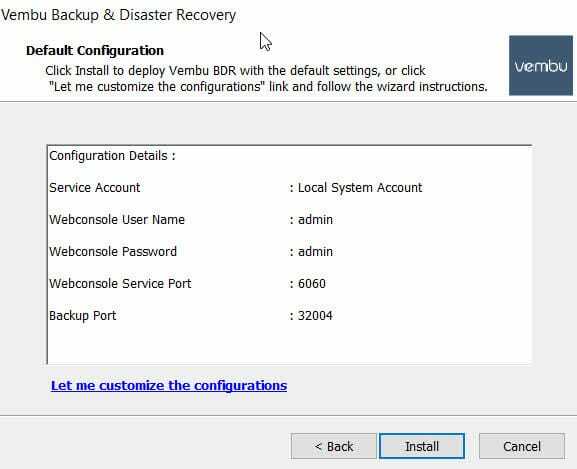 At the end of installation, Vembu BDR will start automatically and web console will be opened. 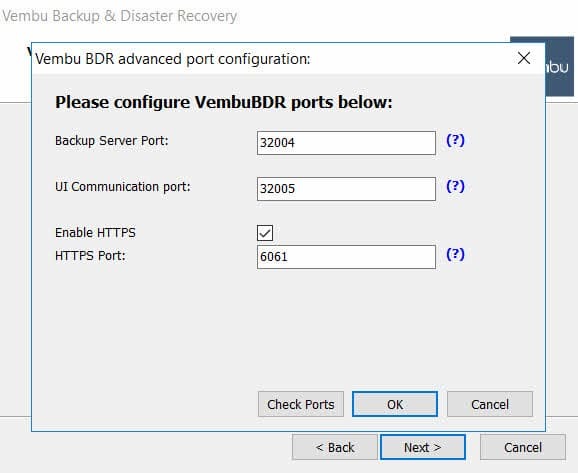 At future posts, I’ll review Vembu BDR web console. Next story What’s PCoIP Ultra?